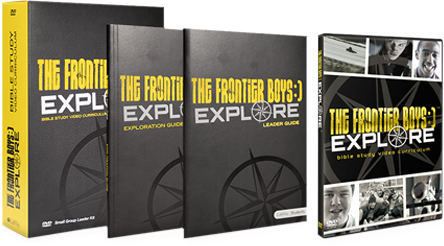 The Frontier Boys is available on DVD at retailers everywhere!!! Believe it or not, these are all issues students wrestle with, and Frontier Boys- a new, interactive Bible study- gives them an opportunity to explore these. Through seven group sessions and six weeks of personal study, students will explore key aspects of the Christian faith and gain a better understanding of each- particularly as they relate to struggles teens face. Buy Now!